Did you know that you can make your own puzzle? 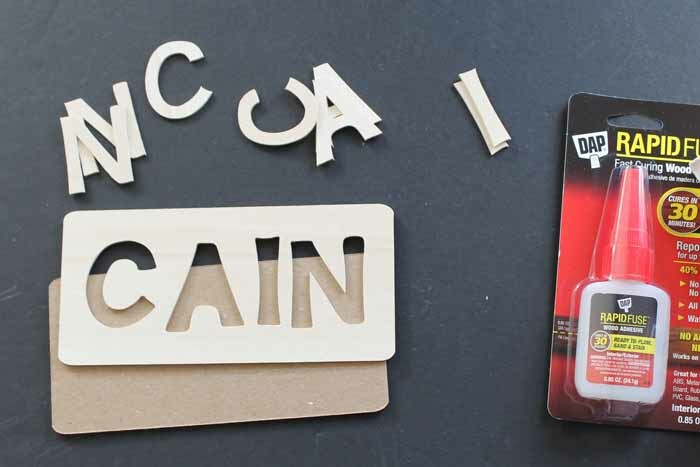 Yes a personalized name puzzle is easy to make with the Cricut Maker and the knife blade. It is so easy that I made one as part of Craft Lightning week this week. If you have missed any of the fun this week, be sure to catch up with day 1, day 2, day 3, and day 4. You will also want to scroll down to the bottom of this post for the ideas from today. 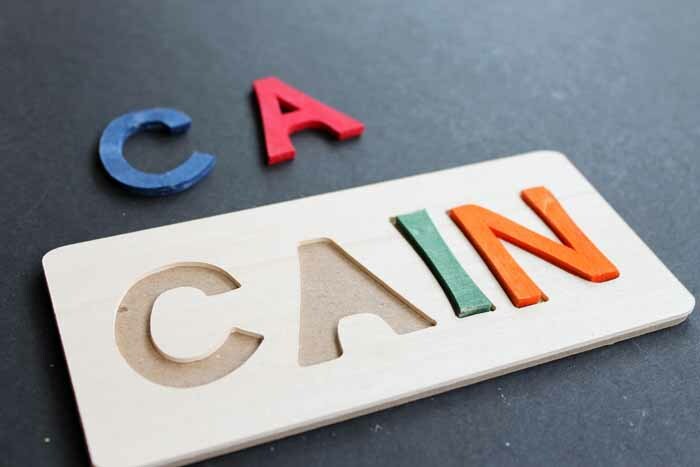 Now let’s make a custom name puzzle in minutes! Your first step is to actually design the puzzle you are going to cut. 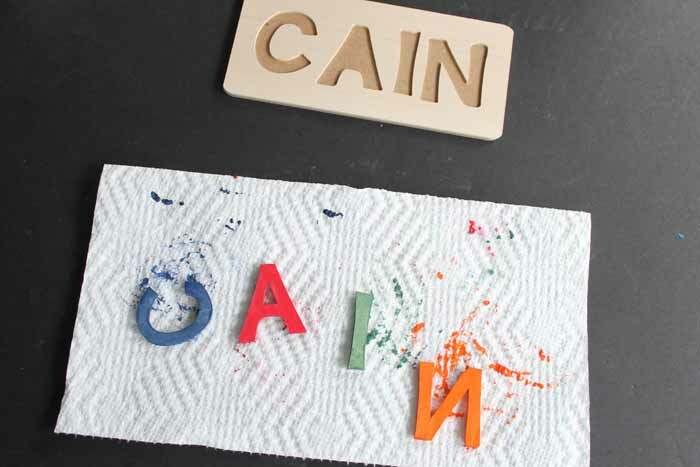 Since each personalized name puzzle is different, you will need to design your own. Start with the rectangle piece by searching the image tab for “rectangle”. There is a rounded corner version that said “free” on my version of CDS. Choose that and add to your canvas. This particular rectangle has two pieces. Ungroup and delete the one without rounded corners. Turn the rectangle as shown. Next, add your text. The “Birthday Cakes” font is perfect for this project. Then, pick your text and click the eye next to the black version of the text. Move the font to your rectangle and resize everything to fit. Make your puzzle any size that you like. Keep in mind the size of your basswood when doing so as this comes in odd size sheets. Then ungroup the text into two pieces. Move the top piece off. 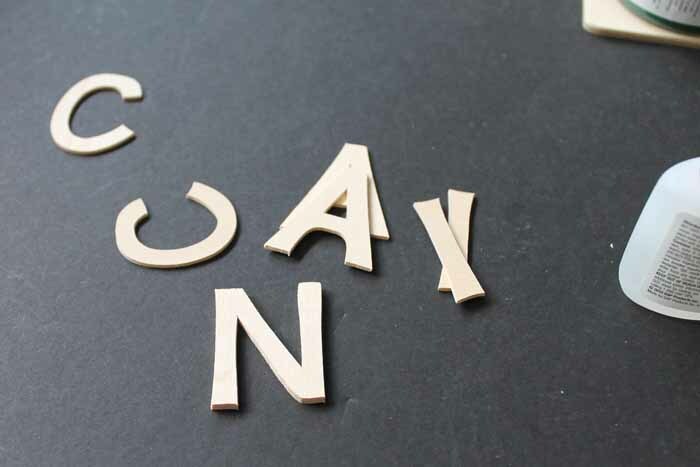 This will ensure that your letters are slightly smaller than the cut out in your puzzle. Make a copy of your rectangle. Choose the name on top of your first rectangle along with that rectangle and pick slice. This will remove the letters from the actual rectangle. Move the two words off and delete them. Now turn your second rectangle a different color and make your name pieces the same color as the rectangle with the name cutout. Then duplicate your name. Ungroup both of your names to letters with the menu option shown below. If your name has centers to any letters, pick the rectangle with the name and click contour. Pick any centers here then press the “x” on the screen. This will remove those from the cut. Now you are ready to cut! Click make it and the following screen will come up. You will probably want to move your pieces around as once again your basswood probably came in weird size sheets. Then pick your machine, material type, and begin your cut with your knife blade inserted. You will need to use the strong grip mat when cutting and use masking tape on all corners when cutting. Cut the name pieces from the 1/16 basswood and the plain rectangle from the 2 mm chipboard. Please note that cuts with the knife blade can take a while. This is considered “hands off” time so you can still make the puzzle in minutes. Just do other things while the Cricut Maker is cutting the pieces. Need tips when cutting your parts with the knife blade? Click here to see all of the tips you will need! Once your pieces are cut, it is time for some assembly! And yes those cuts are right off of the Cricut Maker. It is simply amazing the cuts you can get on heavy chipboard and wood. 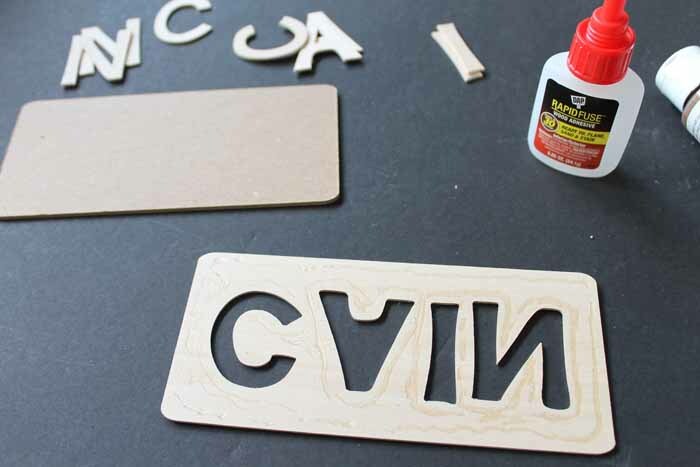 Use a wood glue to first put the rectangles together. 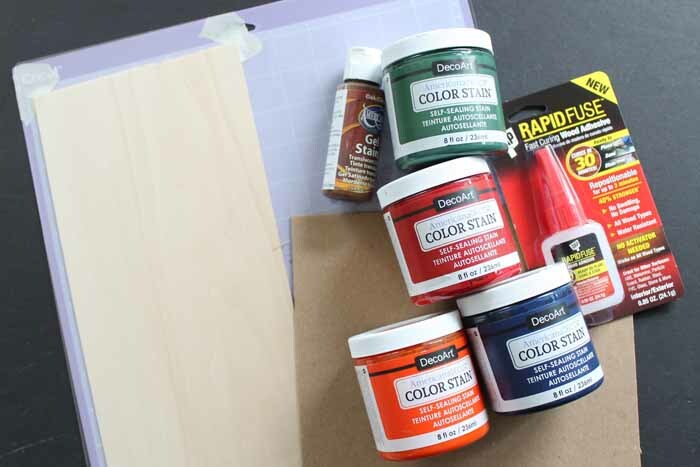 I love this DAP adhesive but you can use any wood glue that cures quickly. 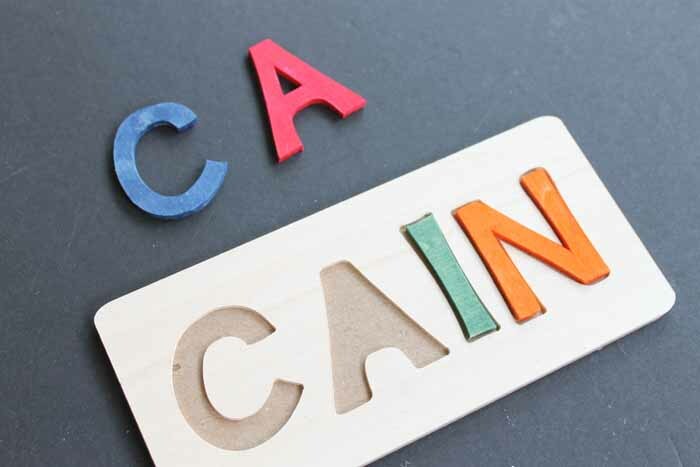 You will also want to glue the letters together. Then allow all of your pieces to cure before continuing. I chose to just stain all of my letters with a different color stain. You can use any stains and colors you wish. I didn’t stain the actual puzzle portion but you could do that as well. Paint would also work for this portion. Allow to dry completely! 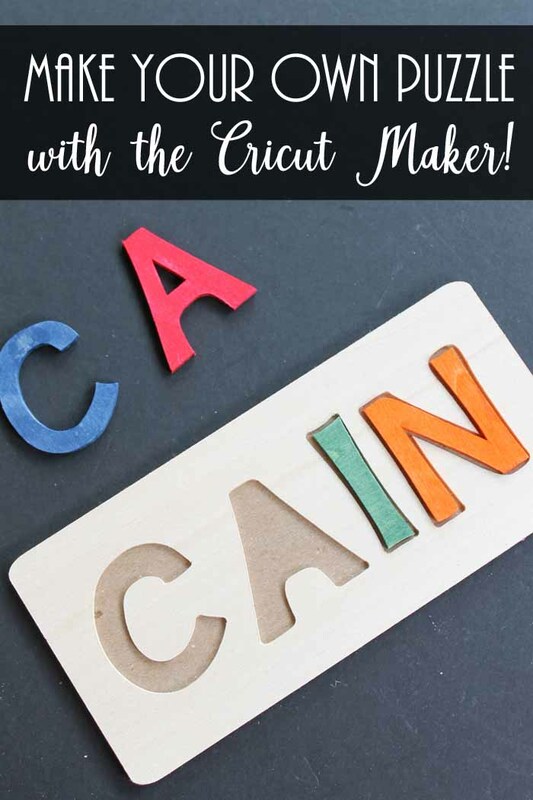 You have just learned how to make your own puzzle with the Cricut Maker. The customization options are endless! Imagine all of the wood crafts you can make with this technique. Will you make your own puzzle? 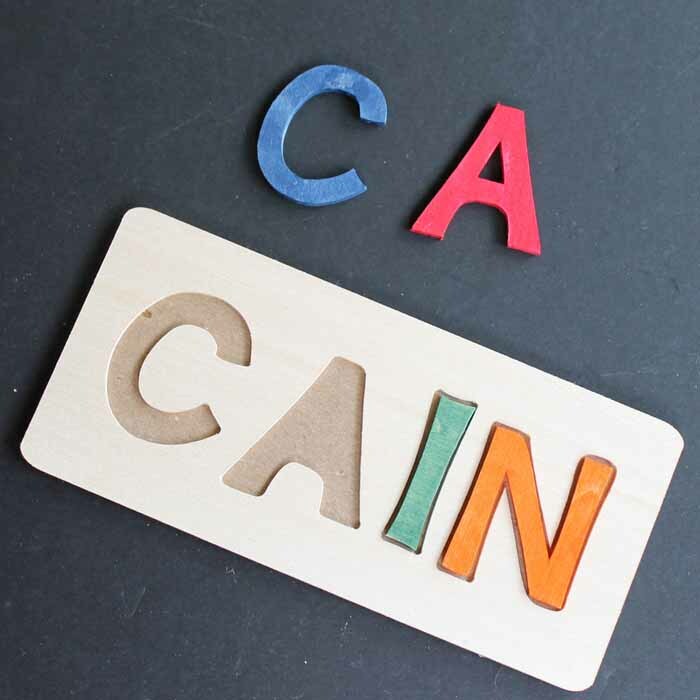 A custom name puzzle makes a great gift idea and is perfect for any occasion. Love this idea on how to make your own puzzle and want more ideas? Try the links below! 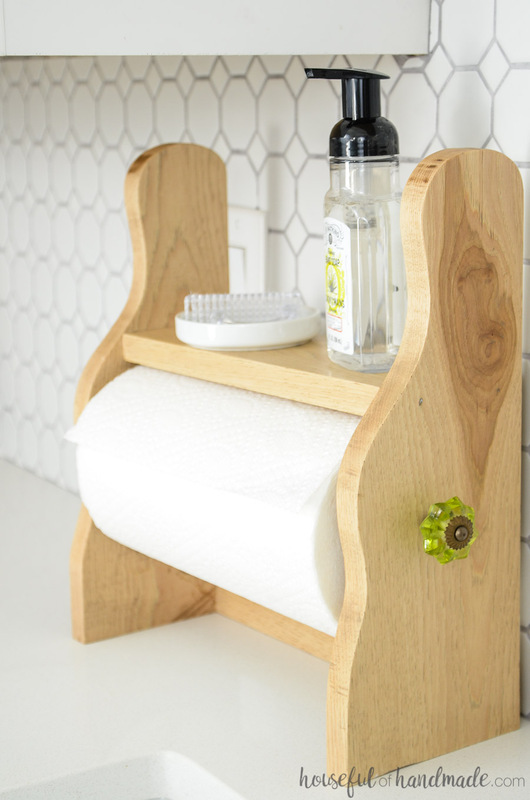 A few pieces of wood come together to make this farmhouse style paper towel holder from Houseful of Handmade. 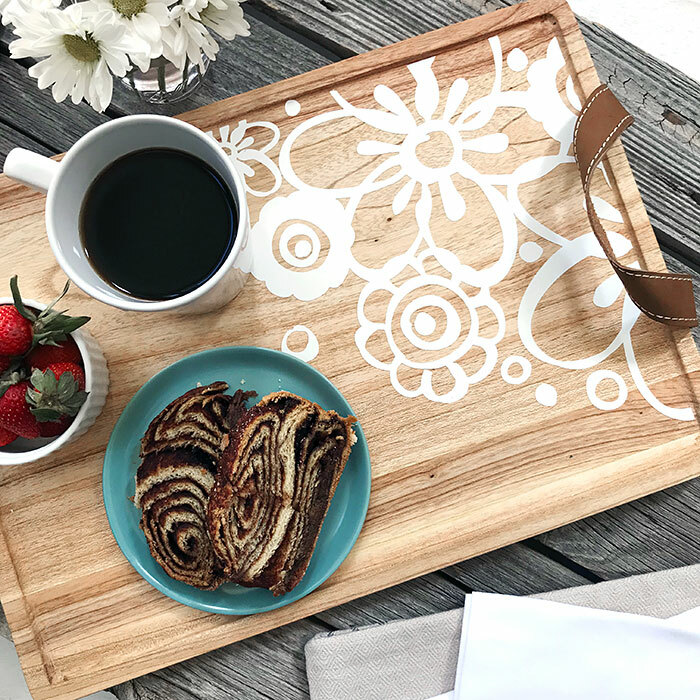 Add white vinyl to a tray for parties and more like this one from 100 Directions. 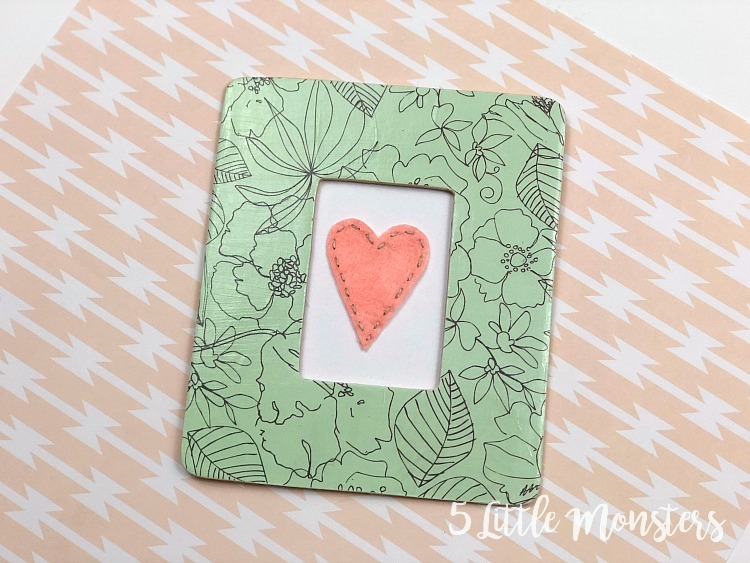 Decoupage onto a plain wood frame with these instructions from 5 Little Monsters. 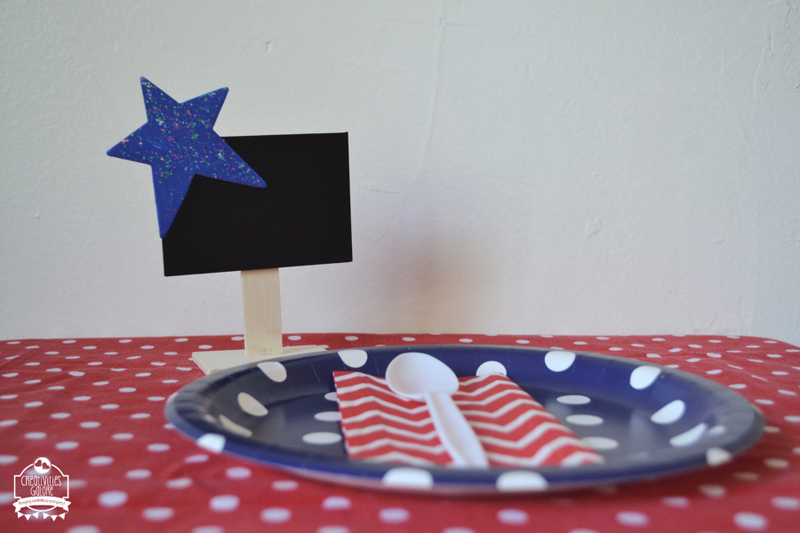 Make some patriotic place cards with the details from Creativities Galore. 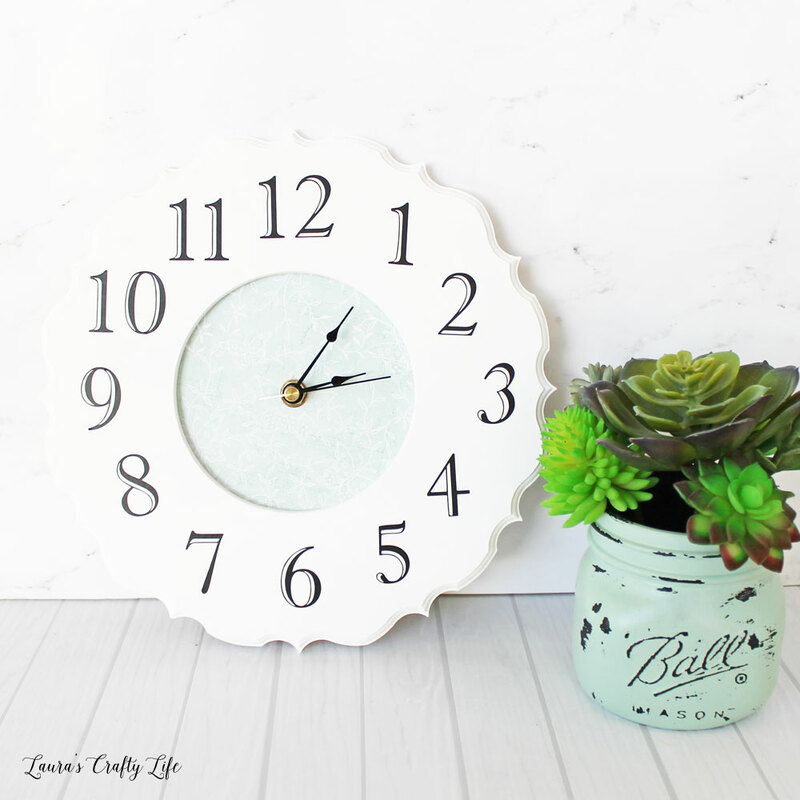 Turn a frame into a fun clock like this one from Laura’s Crafty Life. Need a gift for dad? 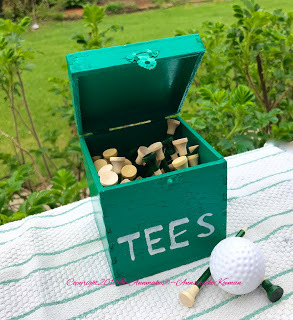 Make this “tees” box for the golfer with the details from Ann Makes. 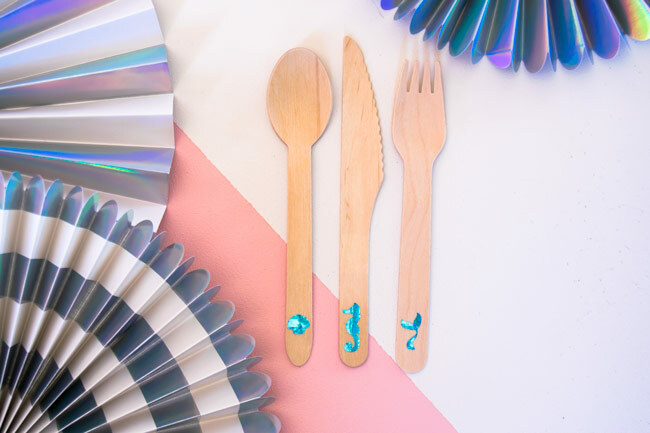 Throw a mermaid party in style with this cutlery from See Lindsay. 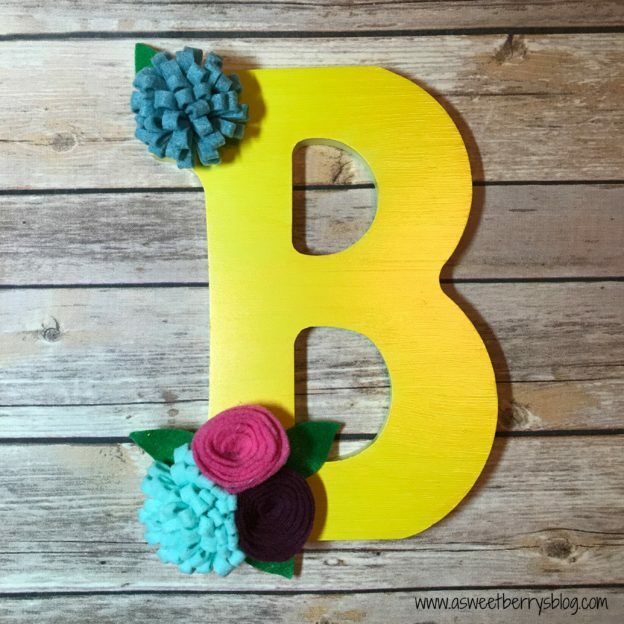 Paint a wood monogram and add some felt flowers with this tutorial from A Sweet Berry. 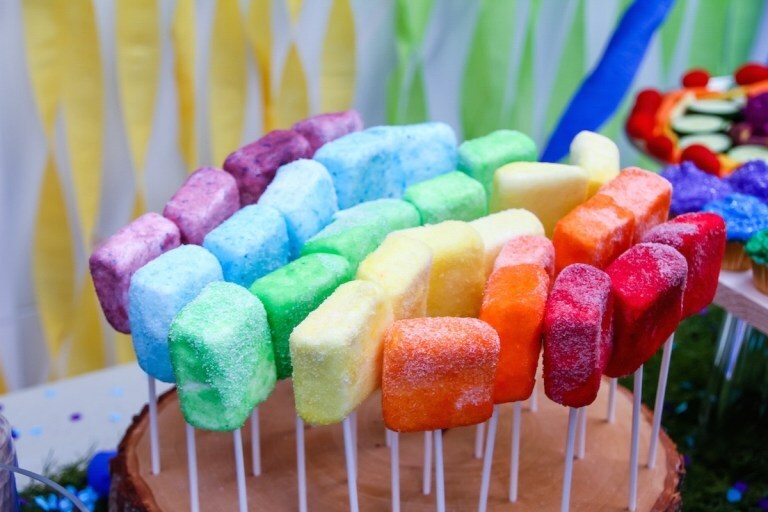 Make a rustic cake pop stand like this one from 365 Days of Crafts. Use the Cricut Knife Blade to also make this great wood cake topper from Dragonflies and Lilypads. 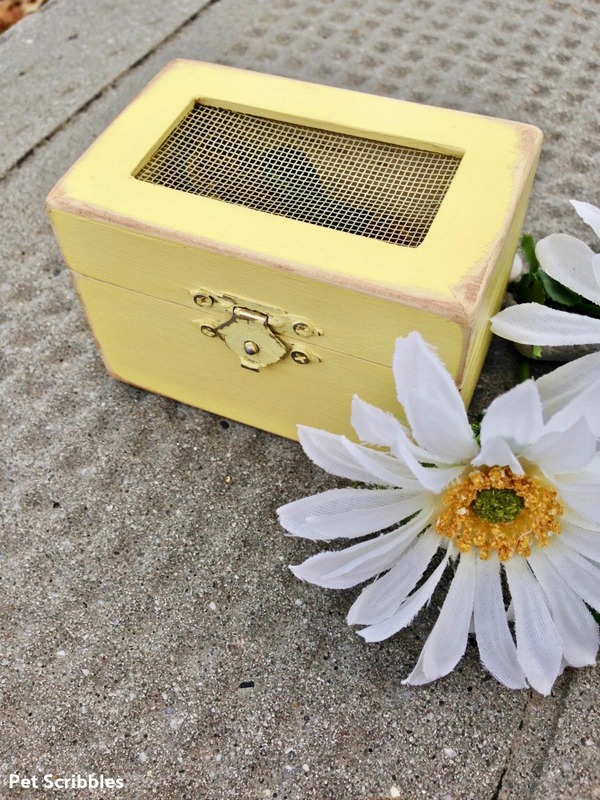 Our guest co-hostess this round is Pet Scribbles and she is sharing how to make this wood box wedding favor. And, finally, my long time co-hostess 30 Minute Crafts turned a wood box into an adorable purse! Get your supplies and make your own puzzle or any of these other fun craft ideas! Stay tuned as tomorrow I will round up our entire series! This puzzle is fantastic! Is there anything you can’t make with your Cricut? LOL Don’t answer, I already know how creative you are! I love this! I have a new Cricut Maker and I haven’t done much with it yet! Love this idea! I pinned it for later! It’s an awesome idea! endless possibilities. Since this is aimed at young children, are suggested resources safe for children? Especially if young children who tend to put everything in their mouths. Because of the size, I would only do this one for children 3 years and older. The wood stain used is non-toxic. Hope that helps! Hello! 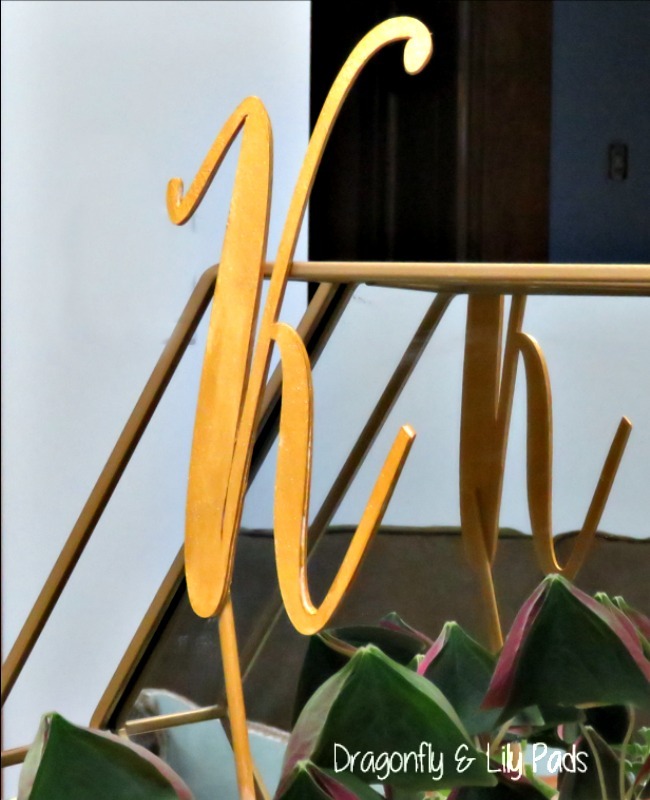 Why did you use Basswood for the letters and chipboard for the base? Thanks! The Cricut can cut thicker chipboard than basswood and I wanted something sturdy and thick for the base.